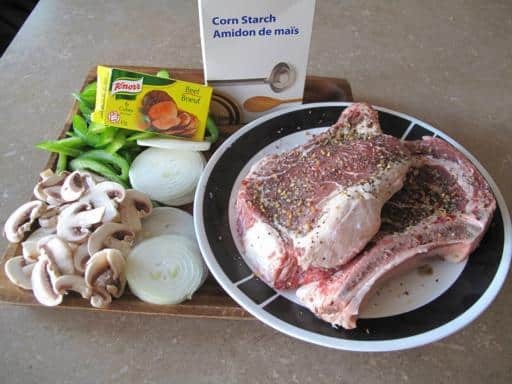 I’m really not into making weird sauces on my steaks, I love a good spiced BBQ’d steak and prefer to let the side dishes do all the fancy talkin’. So this recipe was a perfect combination, I could put it on my steak, but it was a completely great side dish by itself. Plus it is SO fast to make! And a healthy one to make up for all the red meat I eat in the summertime. My steak spice of choice. Plain ol’ Montreal Steak Spice. Nothing better. Git those steaks on the BBQ! 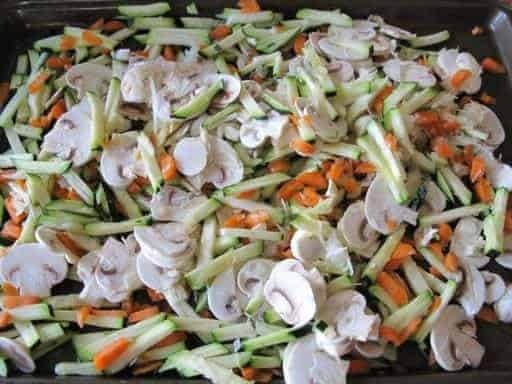 Saute the vegetables until they are tender. Take your beef bouillon and put it into 3/4 cup of water in a microwave safe container. Nuke the water until it’s boiling, and then the bouillon will dissolve beautifully into it. In the remaining 1/4 cup of cold water,mix in the cornstarch, then whisk into the bouillon mix. 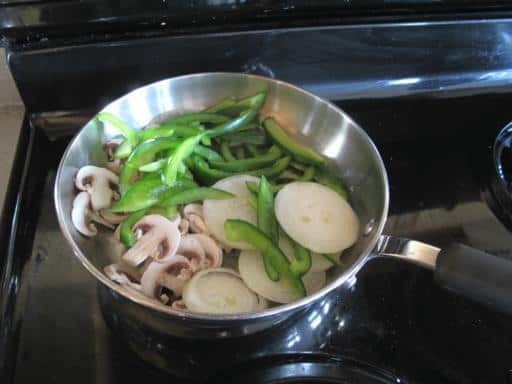 Add the bouillon to the vegetables in the frying pan and stir until it thickens. Serve on top or beside the steak. 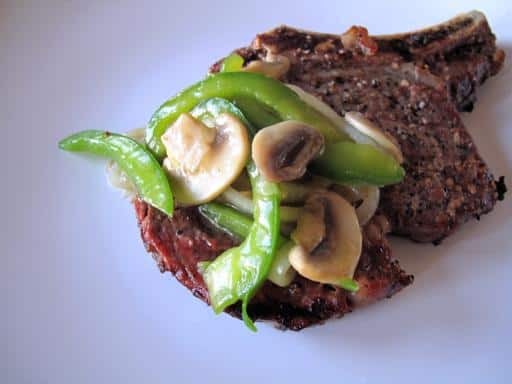 Something to jazz up your summertime steaks, so easy and healthy. Git those steaks topped with steak spice on the BBQ! Sautee the vegetables until they are tender. Take your beef bouillon and put it into 3/4 cups of water in a microwave safe container. Nuke the water until it's boiling, and then the bouillon will dissolve beautifully into it. In the remaining 1/4 cup of cold water, mix in the cornstarch, then whisk into the bouillon mix. Add the bouillon to the vegetables in the frying pan and stir until it thickens. Serve on top or beside the steak. while most English speakers would consider them vegetables.